Hello, Alicia here today with a scrapbook layout. 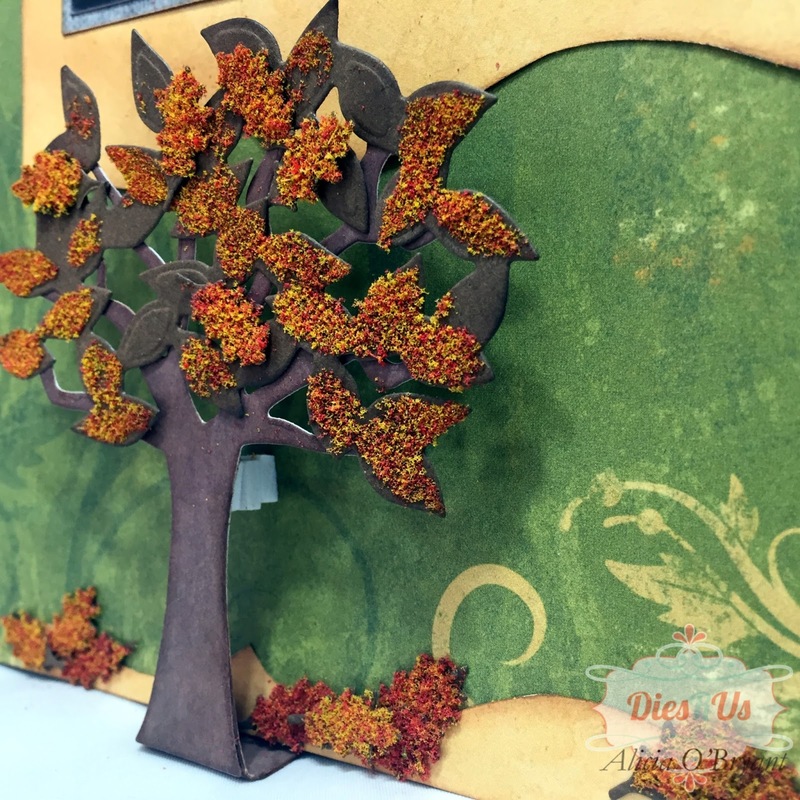 I recently purchased some flocking at a crafty sale and knew immediately I wanted to use it on the tree and leaves from the Karen Burniston Tree Pop Up die set. I also wanted to use it in a different way than the pop up card. I decided on a layout with a pop up tree. to create a bold title. I added texture by turning up the corners with a pencil. I also inked all the edges for a distressed look. I cut dozens of leaves then covered them with my own autumn flocking mix using gold, orange and red. I added them to the tree, the banner, and the "ground" beneath the tree. I created a double layered strip with paper matching the tree trunk. I trimmed it to the shape of the tree. I scored and designed a fold gluing the back of the strip to the back of the page. I layered pop dots to support the upper portion of the tree. Well that's just amazing! Loving all of that flocked texture, so cool! The pop tree makes for a wonderful Fall card! Perfect! Beautiful page, love the flocked texture it really adds texture to the page. Beautiful page, love the texture ! Fabulous LO, Alicia! Love that you used dies on this page. The banner looks awesome and the flocking on your tree gives great color and texture to the page. LOVE! Beautiful! Love what you have done with those banners, and that flocking is the perfect final touch! 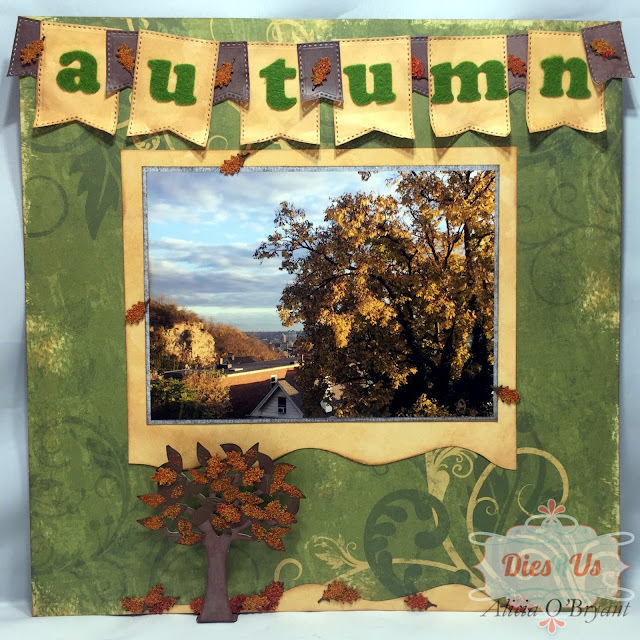 Beautiful Autumn page layout. 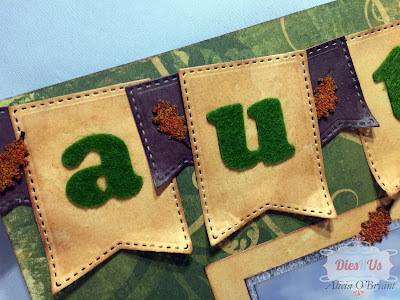 Love how you "aged" the banner and used the felt letters for dimension. 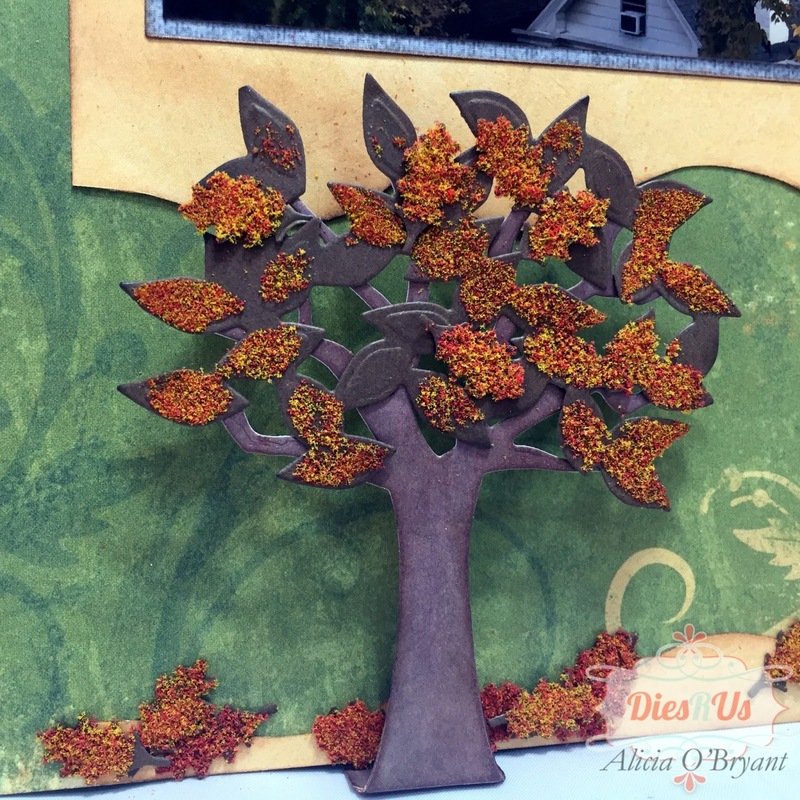 The flocking is an awesome idea for your leaves. Beautiful!